Get a free Autoweek subscription for the car fan in your house. 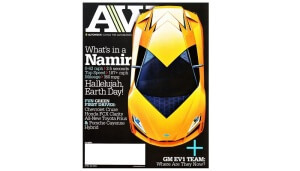 This is a great magazine that has the latest information about cars. Get reviews of the super cars that most people can only dream of and see the latest gadgets that are coming out. The cool thing with seeing the very advanced cars is that the technology that they have will be in the average car in just a few years. This will let you stay ahead of the curve and really know what is to come. This is a subscription for 24 Autoweek magazines and can be great to have around the house.